This Accessory Shield for Bluno is specially made for Bluno (BLE with Arduino Uno), which is first of its kind in intergrating BT 4.0(BLE) module into Arduino Uno. Together with Bluno, this Accessory Shield forms an ideal prototyping platform for both software and hardware developers to go wireless. You will be able to develop your own smart bracelet , smart pedometer etc through the low- power, real-time low energy communication. The exposed terminal on the back is used for the relay external circuit, its mode of operation as with other relay products we have can be checked on the relay link here: Relay wiki link. Our relay module has 4 connectors, but one of the connectors is left unused ( N\C not connected ). 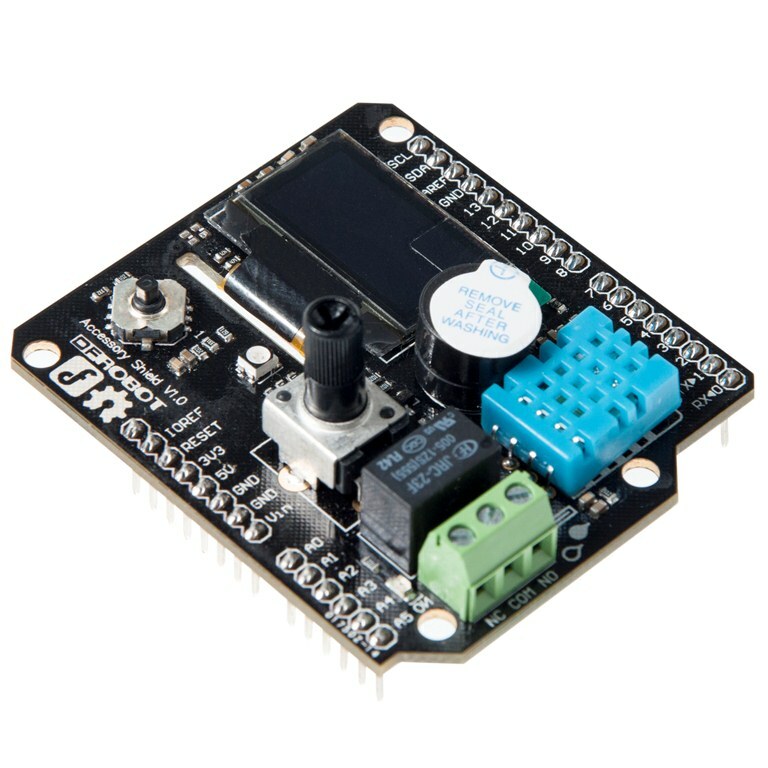 Get Accessory Shield for Arduino from DFRobot Store or DFRobot Distributor.